it’s about enabling you to be more productive! 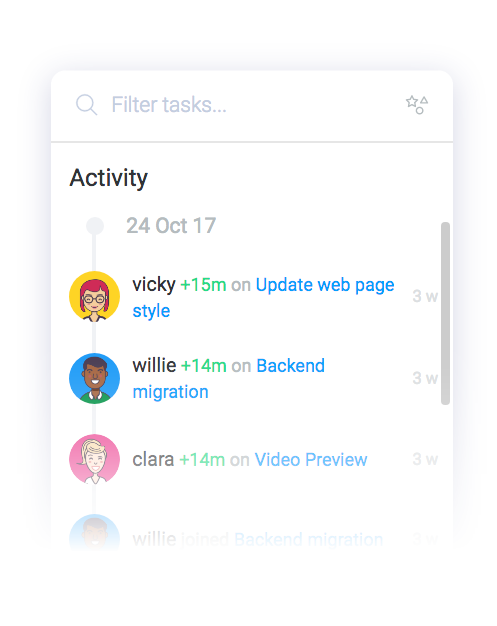 Using Ora is like switching ON your team productivity. As people who get things done, we like our tools to be simple and minimalistic and thus allowing us to focus on the things that matter. But we also like our tools to be powerful and customizable. With Ora, you start simple and then you can turn on whatever features you need. A list is a collection of cards/tasks. You can have as many lists as you like in a project. Some examples are a to-do list, a shopping list, or just a list of bugs. 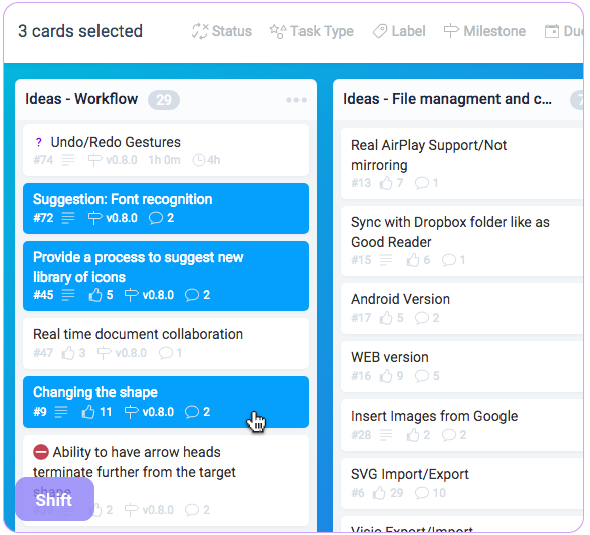 A Kanban is a list of lists with cards inside that you can drag and drop by yourself or with your team. Best way to be agile. All the information you need – served to you and your team in one beautiful detail view. 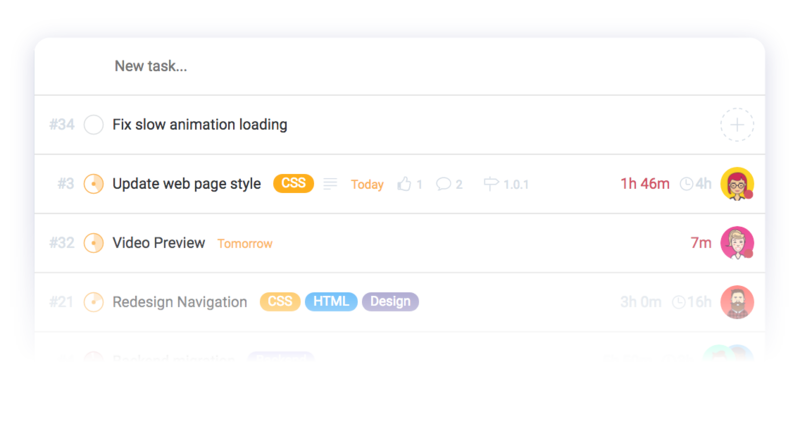 With support for attachments, markdown, comments, @mentions, tracking time, checklists, due dates and lots of other handy things that you might need to keep everybody well informed. Inbox is where all tasks without a due date will go. Schedule them and let's get some work done! Tracking time in Ora is excellent, but it's more than that. You are showing your entire team what you are currently doing. And roughly when are you going to be done with it. You are also recording the time needed on such a task for future reference. Tracked time and all project activity is recorded. Everybody can see what’s going on in real time. Time is also going to show in Slack if you enable the integration. 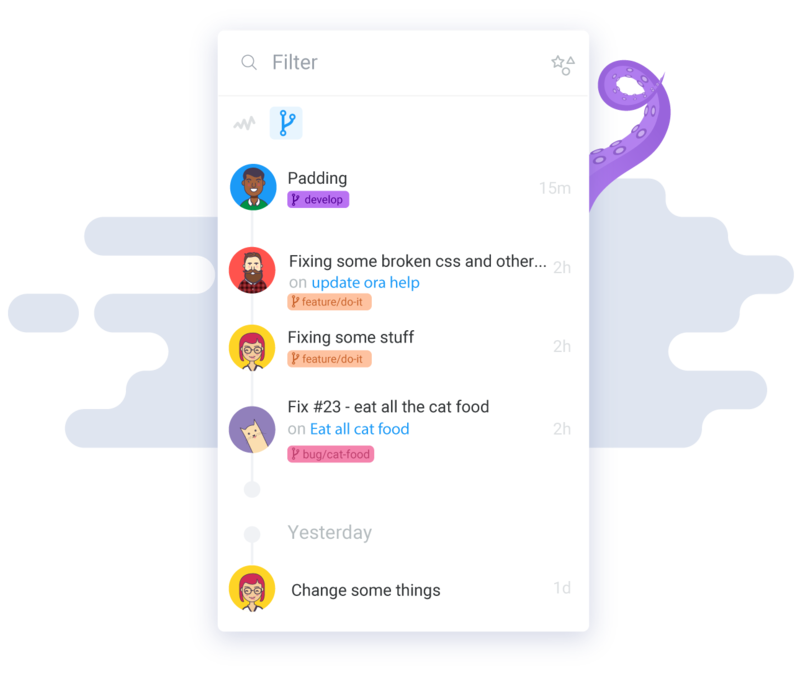 This transparency minimizes unnecessary meetings and conversations. You can manage all time entries, add time manually or download a CSV of all timers inside the task. 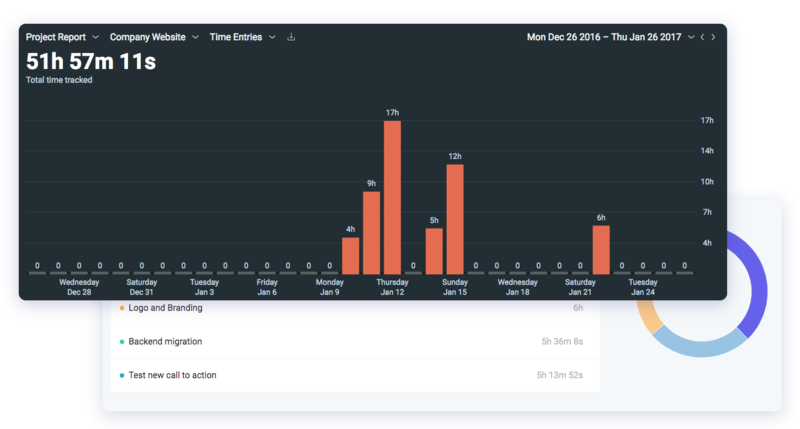 Beautiful reports about all tracked time for a member, project or the entire organization could be found and downloaded in the reports section. A goal or a version. 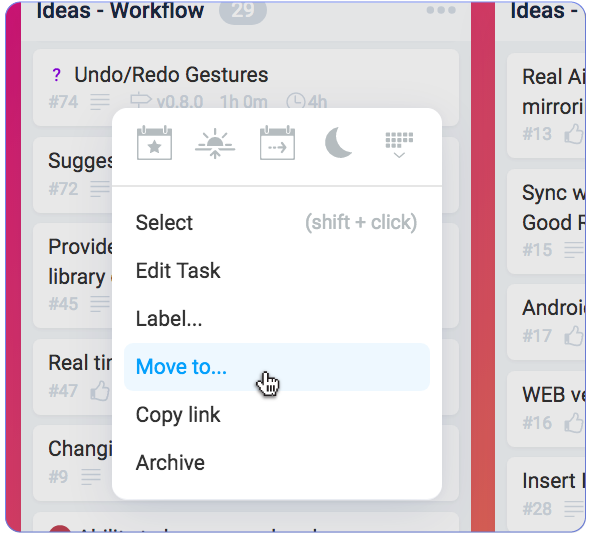 It is a collection of tasks that you can track, filter and close.You can even get release notes for it once it’s ready. Create a public roadmap to show to your users or invite clients to your projects as observers. Ora is great for collaboration. 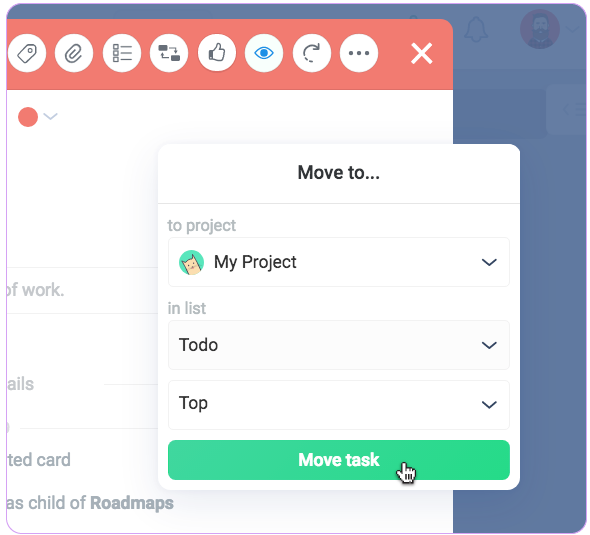 Non-team members could preview, vote and comment on tasks in your project. It looks just like our roadmap. 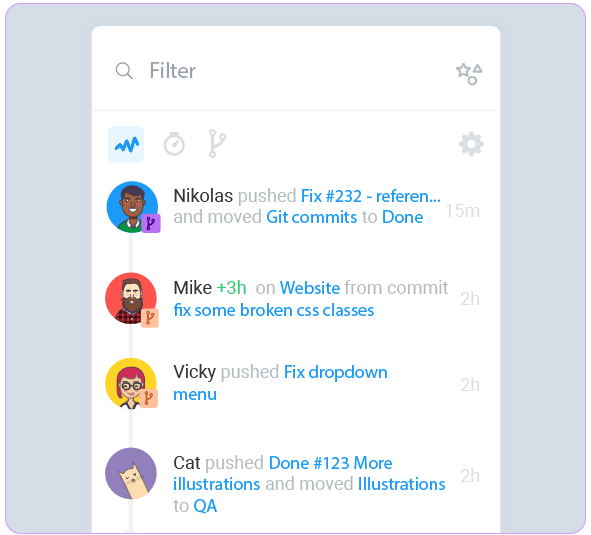 All your commits will show inside your project. You will be able to see which task is this commit addressing and also what the changes are. 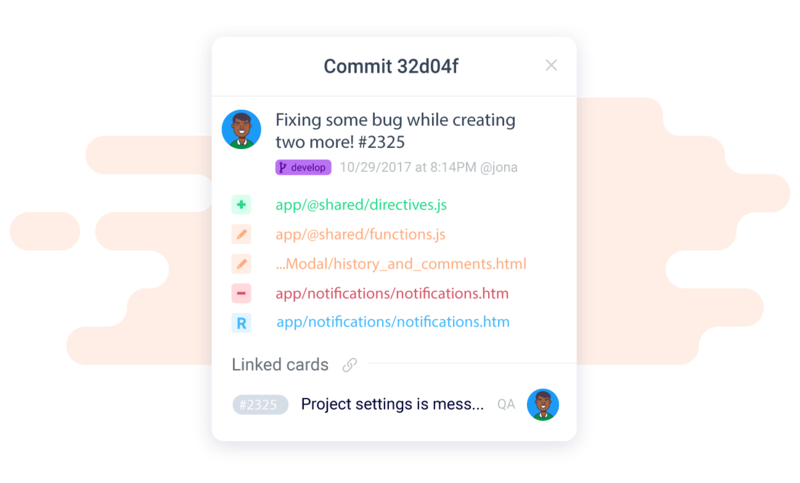 By clicking on any commit in Ora, no matter if it's in the activity or inside the task you will be able to see details about the changes. Added, removed, modified files and even a diff. All task referencing commits are shown on the card and inside it. Enable advanced privacy, and you can hide tasks, lists, and comments from public and observer members. 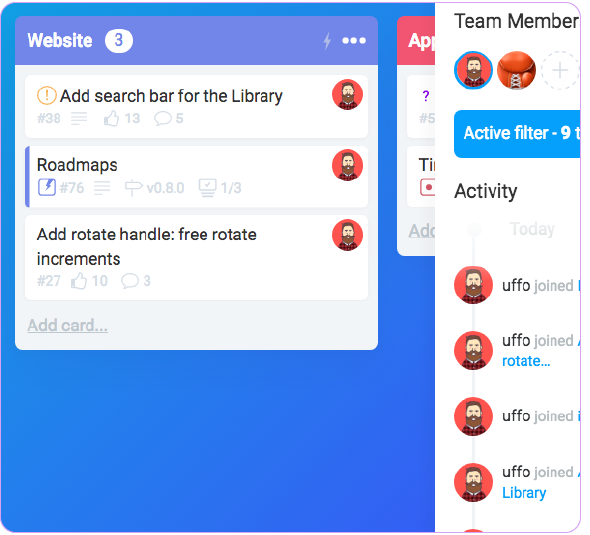 You can have a team-only discussion inside a task and reply to your client at the same time. All you need to do is set who sees it. Ora is fast and powerful. We are spending a lot of time researching ways to enable you to do the most common tasks faster, with fewer clicks and even automatically. Shift + click to select multiple cards and make changes to them. 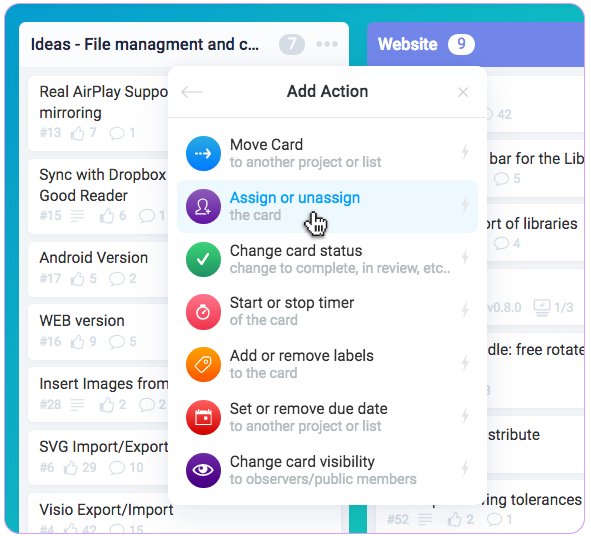 Move a card from one project to another or duplicate it. Great way to split big projects! Ora allows you to stay on top of the progress of any project by sending updates to Slack channels when activity occurs on Ora tasks and projects. Marking tasks as complete isn’t enough. See in detail how your team or project is performing. See how many new tasks were created vs how much tasks ware closed. See exactly how much time was spent on a project or task.